Report on discrimination in jury selection in Champaign County juries. 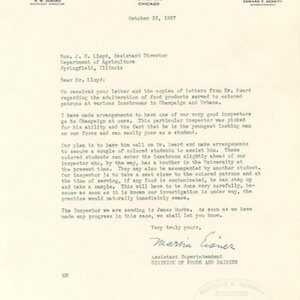 This source is a thesis on the ongoing process of the elimination of segregation and the process of integration in Champaign-Urbana, specifically in the educational realm. It features interviews with local residents and members of the school board. This source is a thesis written at the University of Illinois on the impact that busing of black students on their attitudes towards school. It includes results from surveys and a detailed section on additional or complementary resources.